For the first time ever, the founder of the S.W.A.T. 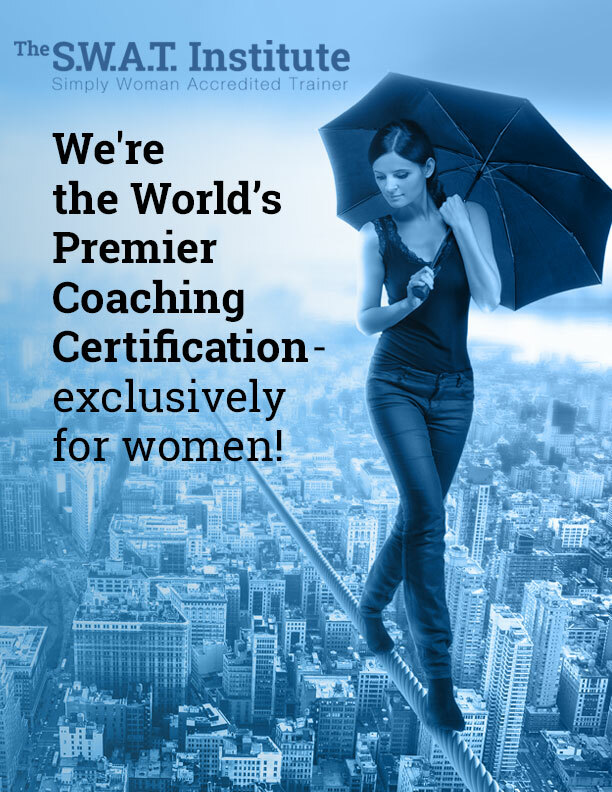 Institute, best-selling author, women’s advocate, TV personality, and Business and Master Empowerment Coach, Crystal Andrus Morissette, is taking a group of women through the Personal Empowerment Coach Certification (PECC) beginning Monday, January 28th, 2019. Learn from Crystal Andrus Morissette and Professor Izabela Viskupova first-hand and become the absolute best coach you can be. ​Welcome! We’re so excited and honored to connect with you and to take you deeper into each of our magnificent woman’s journey! Every day for 30 days, you can enjoy a 30-minute interview with one of our contributing authors! These women have been hand-selected by Crystal Andrus Morissette for their raw, real honesty and triumph. Each interview uncovers a different path from pain and suffering to wisdom and truth. Let these brave women speak to you. Enlighten and inspire you. Evoke you. Sharing is how we will forge our legacy, create a better future, heal the world . . . one strong woman at a time. ​Plus, each author is offering YOU a bonus gift! Once you watch her interview, click on the link to bring you to her site. Be sure to sign up for her special gift and so you can begin to build a relationship with her. Your very first gift is Crystal’s 21-Day Create & Sustain Success eCourse (valued at $300) — it’s yours for no charge. Click here to receive your gift but then come on back and enjoy the rest of this extraordinary summit! Additionally, at the end of each interview, Crystal is also offering you the chance to win her September 12-Week Emotional Edge TeleCourse (worth $500) that’s been featured on Oprah.com three times. A new winner will be chosen every day! Many of the contributing authors on our new book, "Simply...Woman: Stories from 30 magnificent women who have risen against the odds." will be there... flying in from around the world! These women are INCREDIBLE! Colette Baron-Reid -- The Oracle -- will be doing random readings for guests! We'll be giving everyone a copy of our new book, and you'll have a chance to have it signed by our authors! Get more information and your early-bird tickets here. ​NEW OFFER: January 2018 SPECIAL! Starts January 31, 2018 so join now! integrate your light and your shadow into the wholeness of who you are in a way never before taught! The live weekly video Zoom classes are incredible; Crystal leads spiritual self-help in a magical fun way—some call it a practical new psychology. Participants overcome behavioral ruts and engage the world from a happier, more empowered place. ​"What would courage have you do?" and author of "The Emotional Edge" released December 29, 2015. ​email Marta@swatinstitute.com for personalized information and incredible discounts. The S.W.A.T. Institute and to get some amazing Free Gifts! You can request more information about The S.W.A.T Institute, our Programs and Givebacks ​here. and receive an amazing discount on our courses TODAY!